We’ve heard that many of you would consider buying a dashboard camera to protect yourselves against scams on the road. So we bought our own to see what life with a ‘dashcam’ is like. If you’ve ever spent any time on Youtube, chances are you’ve stumbled upon videos where unhinged drivers slew across the road causing chaos and destruction, felling lampposts and forcing pedestrians to dive out of the way. These are all filmed on dashboard cameras. The reason so many people are resorting to dashcams is not to become Youtube tycoons, but to protect themselves from scams on the roads. In our poll, 59% of you said that you would consider buying a dashboard camera, so we thought we’d buy our own and see how we got on. I went for a NextBase In-Car Cam 402G Professional as it offers full high definition recording, GPS logging, a wide angle lens plus motion detection and a G-force sensor. And the price for all this? Just short of £150. That may sound expensive for a potential defence against scams, but a number of dashboard cameras cost over £300, so this NextBase represents a typical mid-range model. Add in the fact that several car insurers offer discounts of up to 15% if you own a dashcam and the price seems much more palatable. Fitting the NextBase is simple with a satnav style suction cup that attaches to the windscreen and a long power cable that plugs into a cigarette lighter. Press the on button and the dashboard camera records until you switch it off. However, even in the week I’ve had with it, sometimes it felt like an effort to fish out the camera, plug it in and arrange the long power cable so that it wasn’t dangling down in front of me. I ended up looping the power cord over the passenger sun visor. Although, if you plan to keep the mount in the car, you could feed the wire around the windscreen more discreetly. The main reason to buy a dashcam is so you can provide evidence that you’re not to blame for an insurance claim. So, image quality is paramount. If you can’t make out number plates in all conditions then your dashcam isn’t really fit for purpose. Based on our first few outings the NextBase seems to provide reasonable footage, apart from in darker conditions where number plates were often illegible. However, this may be down to my car’s heated windscreen, which gives night images a speckled quality. If you already own a dashcam, how are you finding it? And if you’re considering buying one, tell us why. I bought two Nextbase 402G’s just over a year ago. One of the two didn’t work and was replaced by the retailer. I needed to check the video last week, and found it hadn’t recorded anything for ten months because the memory card was full; it seemed the memory management system wasn’t working and deleting older videos to make room for more. I then checked the other camera (in my wife’s car), and exactly the same problem. No matter what video loop setting we use the file management software doesn’t work. The cameras give no warning, and continue to indicate that they are recording even though they are not. A working dashcam is invaluable but this particular model is expensive rubbish. I bought the 402G in March of this year. In comparison to my previous camera, the video quality is very good and can be adjusted for various lighting conditions via the menu. Until today, (16/09/2016) the camera has been fine. I regularly downloaded the content and used the in camera facility to format the SD card, keeping the unit “tuned up”. However, the menu is not accessible when the unit is connected to the computer so depends on the inbuilt battery. In short, my battery has failed resulting in any access to the menu impossible. It appears that this is a common problem with the built in battery. Mine will be going back to Costco for a refund ASAP. I’m surprised there has only been one mention of a DashCam App in this thread! I researched DashCams around a year ago and there seemed to be problems with them all! Poor nightime visibility, narrow viewing angle, no crash detection, no web upload facility, etc. There was no single camera that appeared to come out best in all categories. So why pay hundreds of pounds for a device you are never fully happy with? Instead I searched through the many DashCam Apps in the G**g*e Store and settled on AUTOGUARD. Autoguard has HD recording, a wide viewing angle, crash detection (with auto upload feature), continuous recording after crash, background recording (when using another phone function), Google Maps tracking, amongst it’s many features. Admittedly the camera is only as good as your smartphone camera, however if you have a fairly recent android or apple phone this shouldn’t be a problem. And Finally the cost was £6.99! Worthy of a try when compared to the cost of the stand alone units, I think. Autogaurd is just one of several DashCam Apps available, and the one that suits me the best. Many allow a free trial so my recommendation would be to try before you buy and certainly don’t buy an expensive DashCam if you already have your phone in the car anyway! Thanks for the review, but as part of this feature I think perhaps Which? should review some of the top rated DashCam apps to give a comparison to these more expensive DashCam units. I am planning to travel in New Zealand but was rather amazed that they do NOT have to have car insurance in New Zealand. 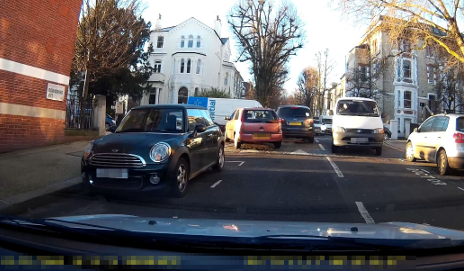 I am seriously thinking that having a dashcam, whilst it may be useful to catch anything untoward, may not be all that useful, what use would it be if the other person was not insured. Anyway, think I’ll go and get one as a bit of added “insurance”, might get a better rate at the car hire dealership – well I can always dream can’t I!? I hope you dont intend to live permanently in New Zealand a large number of the population leave New Zealand for life elsewhere and watch their equivalent of “Bad Neighbours ” its an eye opener ,even the programme admits its citizens arent too happy. This is a great camera but has a fundamental flaw – after 12-18 months it won’t record an accident. The battery fails after 12-18 months of use. This then causes the camera to corrupt the last file when the power is turned off. So when you have a crash and turn the engine off – guess what – the file of the crash is not saved! So the one time you want it to work it doesn’t. We learnt the hard way – shame because when it works its great, but to have product that lasts just over 1 year and then has to be replaced or worse you have an accident and find out this expensive product is flawed is terrible. Cannot excuse the poor quality of this product. Potentially great but bad product design and money saving in production means this is not fit for purpose. 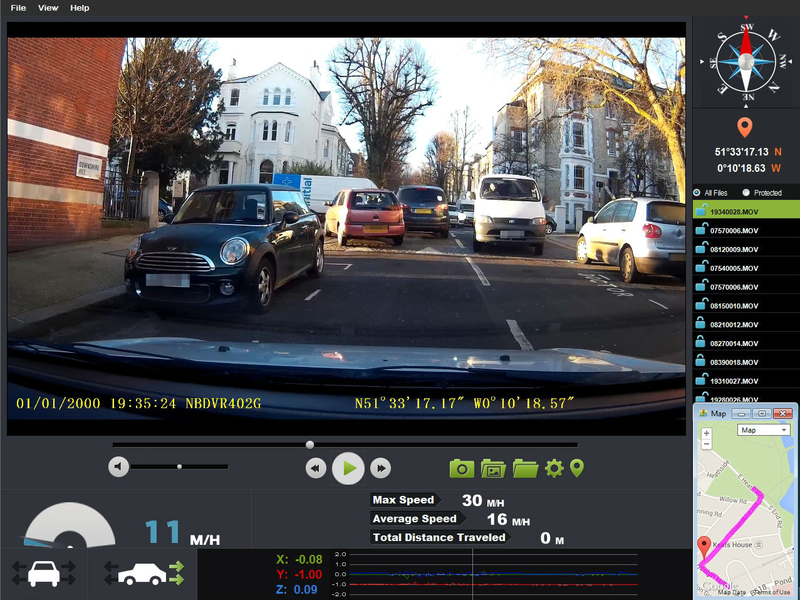 After reading the WHICH review on dashcams i purchased 2 Nextbase 312GW (front and rear) from Halfords Mile End – London. The customer service was OK. The fitting service (2x £30) did a good job, but the gentleman refused to wire to a live feed. He stated that ‘he’d be fired if it went wrong!’. This was disappointing – we wanted it to trigger on movement on our private drive and monitor a vandal who’d been piercing tyres with nails. This is our 6th tyre! I contacted NextBase who said no (warranty) issue with live! …however Nextbase refused to intervene in the discussion with Halfords, the Nextbase retailer and fitter. Instead leaving it to me to resolve. IMO this is poor support from Nextbase! Sometimes good products are led down by careless customer experience. I recently looked into getting a dashcam and powering it with the engine off. My investigations led me to discover the vast range of batteries out there that may or may not be suitable and various ways of charging them. 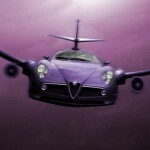 I am not recommending this site as I have never used it but http://www.allbatteries.co.uk/ might give you some ideas. You might want to consider an external camera to catch your vandal. In the winter months, windscreens get covered in condensation so might not record anything external to the car. Have you done research on 4G external cameras triggered by movement ? NB: We park our car in an internal, locked car park for around 50 cars. The windows aren’t impacted by frost. Sorry Rajiv, I haven’t researched 4G external cameras. If your requirement is short-term, I think I would go with a separate battery and get a couple of SD cards to swap around. I think you can get a separate battery to charge when the engine is running or even get a couple to swap out while the other is charging indoors. It should be cheaper than keep having to buy new tyres. p.s. If you log in to post, you will be able to check back at your history to see other answers in the future. I purchased a Nextbase 402 in Sept 16. I am very disappointed that it stopped working after 13 months,so now out of 12 month guarantee. It repeatedly fell off the windscreen as suction holder not adequate. The long wiring from holder to cigarette lighter is clumsy and gets in way of front passengers and presents a potential trip hazard. Not recommended! I bought my wife a nextbase dash cam with the front and rear camera and initially we were pleased with it, so much so i bought one, withing six months they are both dead now, the after sales are worse than their dash cams, after searching for problems with the range of nextbase they all seem to have problems after a short while and no one seems too impressed with the after sales of Nextbase even when they are in guarantee like mine were. You have been warned. Would never use these again. I had trouble with the power cable on my Nextbase, after a while the first one only worked intermittently and the replacement cable they sent me didn’t work at all. I replaced it with a USB adapter for the accessory socket and 5m USB to Mini USB lead which is long enough to route round the back of the passenger seat, under the carpet and up the A pillar thus keeping it out of the way. I’ve had no problems since.